A big real estate brand and their online presence – we helped Aldar spearhead their online presence with Micrsoft Sharepoint implementation. 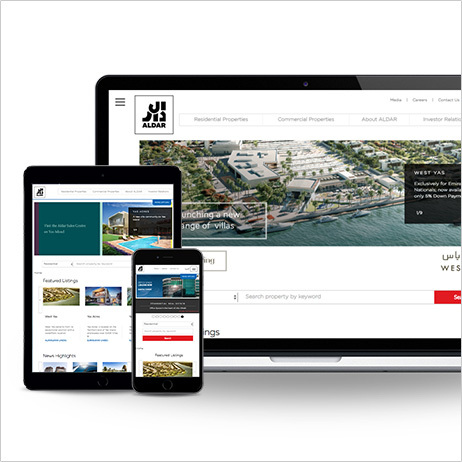 Aldar properties wanted to strengthen their online identity, but were struggling due to disparate websites for their different business divisions – Aldar Corporate, Aldar properties & Aldar. The customer portals were built on disparate systems and unable to cohesively operate. The challenge was to consolidate all the diverse web properties into a single robust identity built on an agency recommended state-of-the-art, scalable, technology platform. The Solution was a highly optimized portal featuring deep amalgamation of the varied portals into a unified online identity featuring real-time information from ALDAR’s ERP. 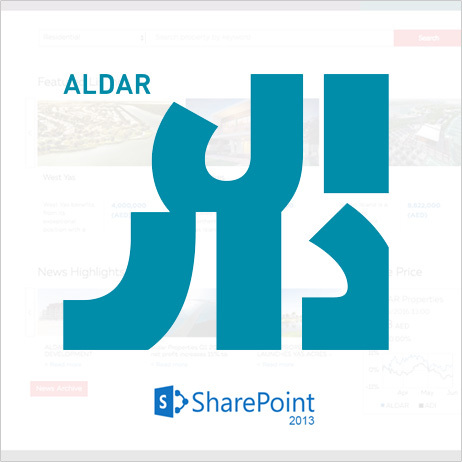 We worked on Microsoft’s renowned CMS SharePoint 2013 platform to deliver the new Aldar.com with the best possible UX. The key challenge while working on Sharepoint is ……… but our team at Centric with its experience was up for the challenge. We created a bi-lingual website providing information in Arabic and English to cater to the target demographic. The state-of-the-art portal also had a responsive user interface making the site accessible on-the-go across all the devices. SharePoint 2013 was exploited to its fullest potential with rich features such as image renditions, site variations and enterprise search configured to dedicated servers on a multi-server farm. The portal uses SharePoint’s broad array of features and capabilities to help ensure that sensitive information remains safe and the right people have access to the right information, at the right time. The powerful CMS capabilities allow the portal administrators to create and update information with ease and efficiency catering to important aspects like SEO.